This spot was a fun find for a Friday, well any night, it just happened to be Friday. 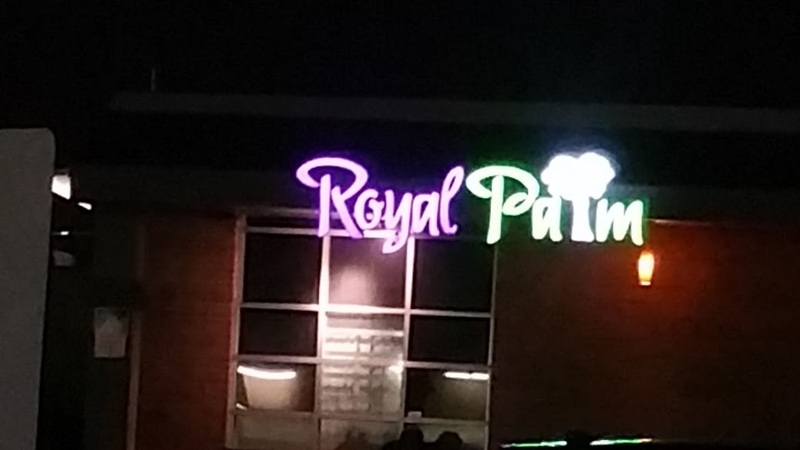 My friends have been telling me about the Royal Palm Wine and Tapas for a few months, so last night when they went I was on the invite. The only thing I can say is, wow what a cool place. 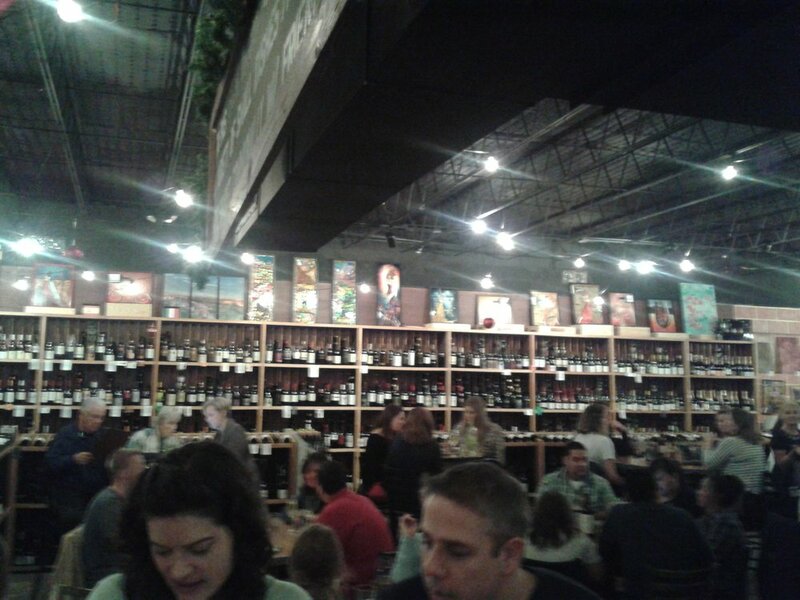 Large open room, surrounded but wine on all sides, they have a huge selection of wines from all over the world, and one of the best beer selections at the beach! Local art work hangs from the walls and most of it can be purchased. 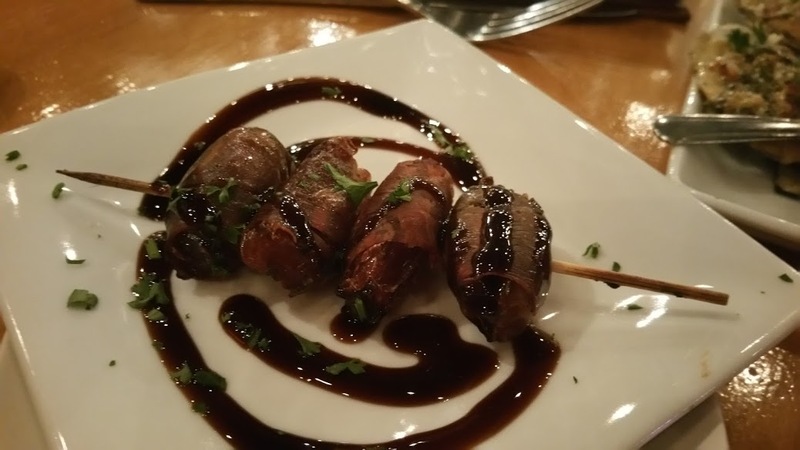 From the Tapitas menu we chose the Warm Prosciutto Dates w Balsamic Glaze; sweet pieces of wonderful salty Prosciutto rolled and secured covered with a perfectly balanced glaze. 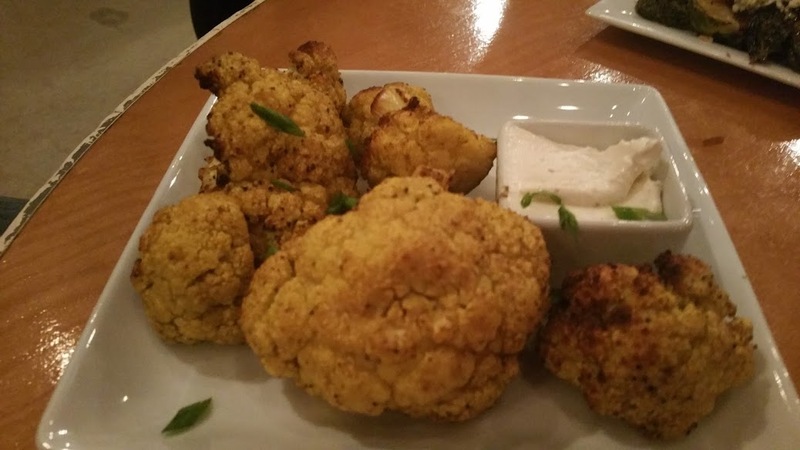 Next up from the Garden selection Curried Cauliflower w Tahini dipping sauce. Popping with curry flavors, golden in color from the spices, the cool of the Tahini added the perfect balance. Beautiful dish all around. Moving into the Tapas zone we added on Baked Macaroni and Cheese as well as the Roasted Brussel Sprouts. 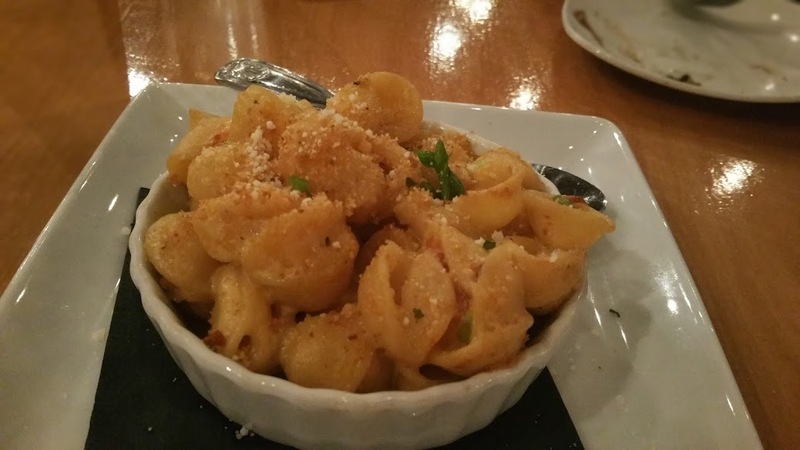 Macaroni a departure from the usual, being made with Pimento cheese and shell pasta. Tangy from the pimento the cheese nested nicely in the pockets of the shell. 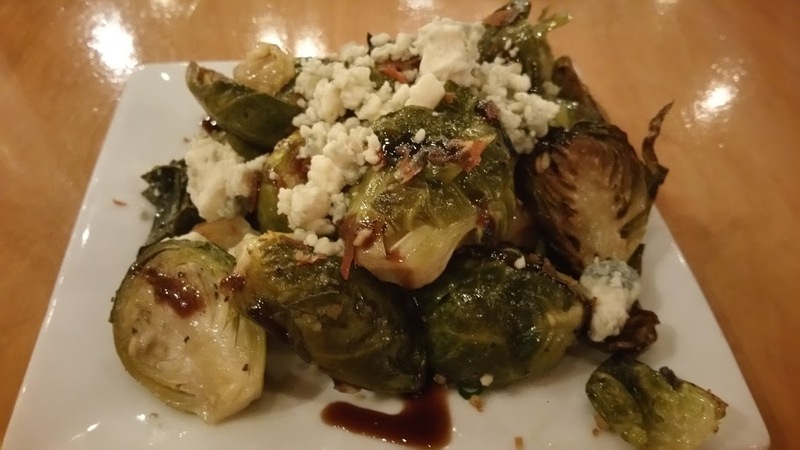 Sprouts were cooked al dente that along with the crispy Prosciutto and blue cheese delivered a punch of flavor. These might change you mind about eating your veggies. 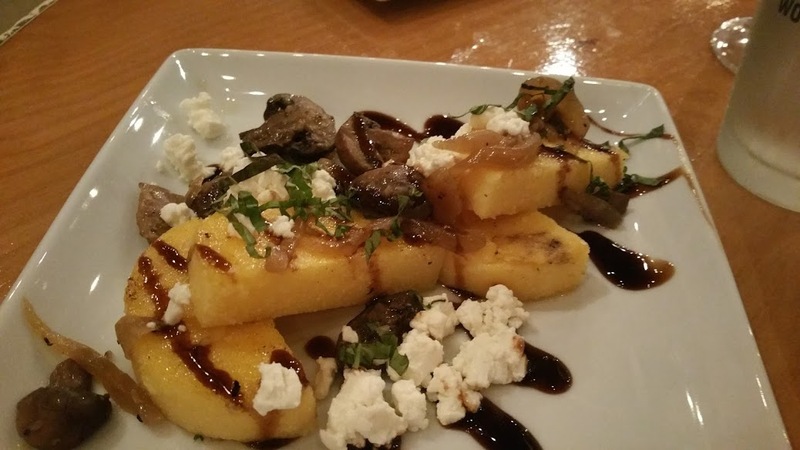 Last dish from the Tapas menu, Polenta Cakes Truffled mushrooms and a savory shaved Monchego cheese curls. This dish was so refined each flavor stood out on its own. No flavor was lost. 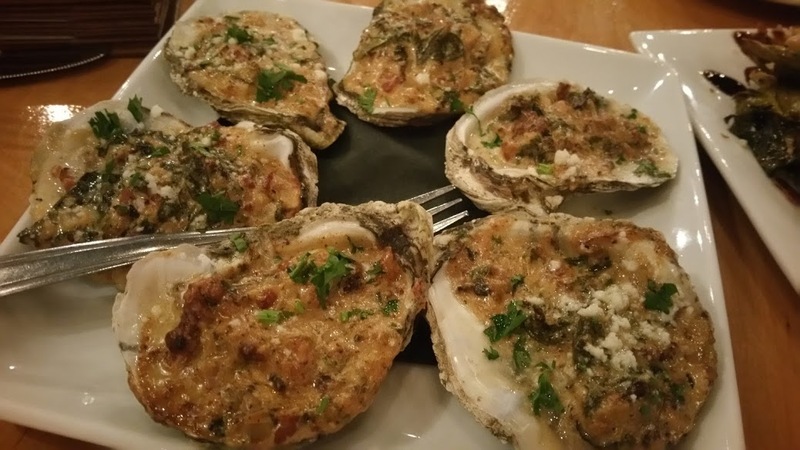 We were almost sated, but there were three more items we wanted, from the Fish list we chose the Cold Atlantic Oyster Rockefeller. I have never liked this dish, mainly because the oyster are normally cooked into some overly done chewy unpleasant mass. Not so here, oysters were warm and plump, really a nice size, topping savory with just a hint of salt. 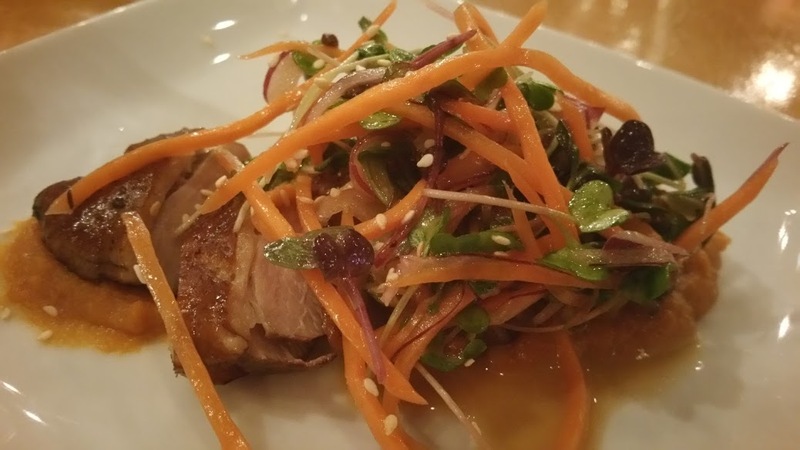 The last two selections were from the meat offerings; Tea Braised Smoked Duck Breast, with sweet potatoes, sesame, ponzu and radish sprouts. Duck was a nice medium rare cook, warm and tender. The smoke flavor melded with the tea for a delightful treat to the senses. 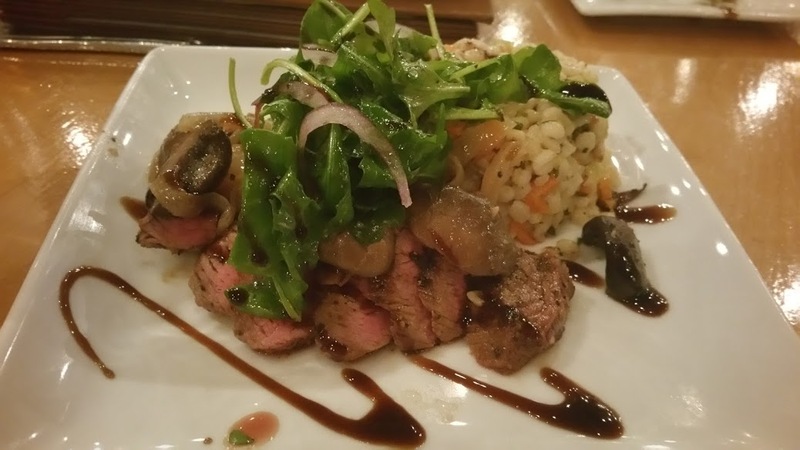 Last up Pepper Seared Black Angus Sirloin, Portobello and Sweet Onion Confit, Arugula w Barley Pilaf. Again a perfect balance of earth from the Portobello, sweet from the onions, with a hint of pepper from the arugula, the confit played well with the meat. I was not inspired by the barley, but the others found no issue with it. This is certainly a spot, that will be on my regular route. 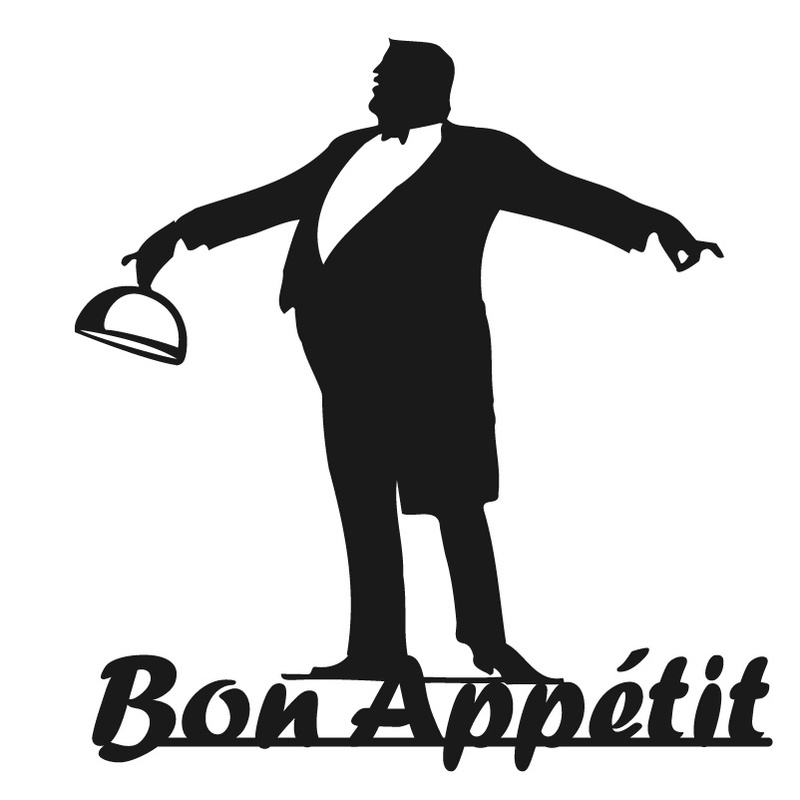 Along with some of the finest dishes, fine wine and beer selection this spot offer weekly promotions. Please take the time to check out the web site for additional events. So I thank my friends for introducing me to a hot new place, and I will certainly pay it forward. As always I encourage to go out there and find the new local owned spots that survive because we continue to support them. It’s our community and our neighbors. This is a scrumptious review! Thanks for sharing. Happy Thanksgiving!